What’s in a corporate uniform? When it comes to your business, everything. The work uniforms your employees wear accomplish several objectives. They affect the morale of your employees, and when carefully chosen, can improve job satisfaction. Corporate uniforms can also communicate a message to your customers. When your employees are dressed in proper uniforms for work, an image of professionalism is communicated. The customer knows they are dealing with employees who are serious about the work they do. As a result, the customer’s trust of your employees increases, which can directly affect your company’s bottom line. If you’re looking for work uniform suppliers for your UK business, look no further than Corprotex Apparel – we’re one of the UK’s leading outfitters for business. For over 21 years, we have been designing, manufacturing and supplying businesses with the clothing they need to elevate their image and maintain their reputation. Our partnership with some of the country’s best corporate work uniform manufacturers is what has allowed us to be such a proud supplier for so many businesses. As a team of professionals, your employees need to look the part. As well, they need to present a united front to your customers; corporate uniforms help your employees to be easily identifiable, making it more convenient for your customers to get the services they need from you. Amongst your employees, they can help to inspire team spirit. When all are dressed in corporate uniforms, a sense of belonging is the result, along with a feeling of equality among employees. This can help with many aspects of a job, such as improving a team’s ability to work through challenges and being better able to work together. Corporate work environments can have several departments, each with their own at work uniform. Clothing worn by management may be far different than that of entry-level employees. But in differentiating between them, management-level uniforms may be something that other employees may desire to wear in future. This can inspire them to strive to attain a position with upper management. Our customer service team can help you choose comfortable, versatile work uniforms that differentiate the various departments that may exist in your company. Our team consists of professionals who are dedicated to providing you with only the best quality work uniforms. We can assist you at every step of the process to not only review your options, but choose those that are best for your needs and the needs of your employees. We are proud to be one of the most respected work uniform suppliers in the UK. Regardless of the industry your business is in, we have a range of options that are suited to you. Contrary to popular belief, there is no secret to choosing the perfect work uniforms for your employees; all it takes is to work with our seasoned professionals at Corprotex. Whenever you contact us, you can rest assured that you will be speaking with professionals who can answer all of the questions you may have regarding your work uniform needs. You can reach us via email on sales@corprotex.co.uk, or call us any time on 0161 223 2226. We can supply a large range of healthcare uniforms, in a variety of colours and fit, ensuring that the needs of your staff are always met. 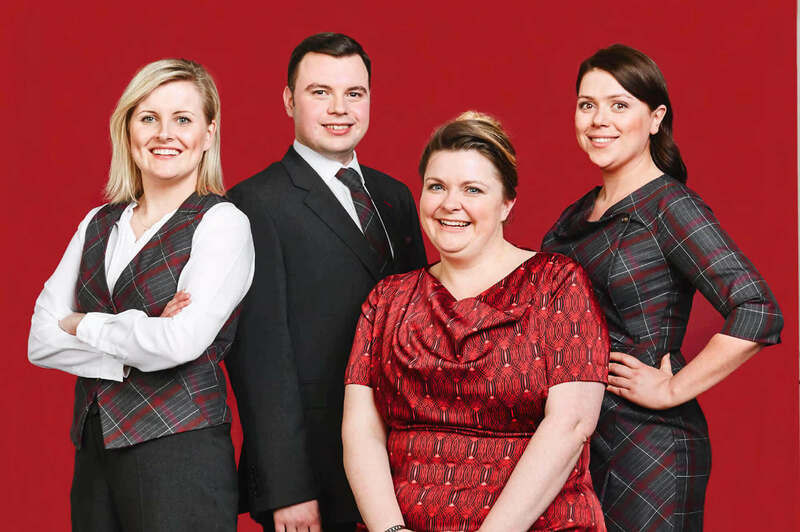 As suppliers of banking uniforms, we offer a wide range of corporate clothing and uniforms that can be personalised to your brand, or even individual employees.